The “cloud shift” has created an enormous demand for IT pros who can leverage these new technologies. If you don’t have at least basic cloud skills, you’ll get left behind. On the brighter side, cloud-certified IT pros are paid very well. And that’s a great place to be. It doesn’t even cost a lot to upskill to the cloud. Here are five cloud certifications under $300 that can pay off big. Its dominance has shrunk recently, but Amazon Web Services still is king. At the end of Q1 2018, it held 33 percent of the cloud market. One particular AWS certification stands out in regard to cost versus career value proposition: The AWS CSA – Associate. Despite the cloud’s popularity, there’s a skills gap in regard to solutions architects. That makes AWS CSA – Associate one of the most in-demand certs right now. It’s also near the top of many highest paying certifications lists. And we aren’t just talking cloud certs, here. The kicker? It only costs $150 to sit for the exam. AWS also offers free-usage tier for one year, providing a perfect sandbox for learners to advance their skill sets. This cert validates a broad range of skills, including how to architect and deploy applications. From a business perspective, you can never have enough AWS pros. This certification is a no-brainer when you consider the low price and the possibilities it opens up for you. If you’re brand new to the cloud, AWS Certified Cloud Practitioner certification is a good starting point. Earning it validates that you have an overall understanding of the AWS platform. Yes, that includes the usual key terms and concepts. But you’ll also learn how to explain the value proposition of AWS. Or be able to identify use cases for AWS. At a cost of $100, AWS Certified Cloud Practitioner certification is a real bargain. It serves as a prerequisite to AWS specialty certifications (more on that later). Plus, it’s the launching point for the associate-level certification exams. Think about it this way: If you decide to pursue Certified Solutions Architect – Associate, you’ll have spent a total of $250. Not bad for two certifications in a meteoric field. This certification is the most basic entry point to the Azure ecosystem. It’s equivalent to Amazon’s Cloud Practitioner certification. The cost, at $127, is only slightly more than the Cloud Practitioner exam. Microsoft also has a free usage program, although it’s not quite as generous as the AWS version. So why go with MTA Cloud Fundamentals 98-369? It serves as a stepping stone to the MCSA: Cloud Platform certification. All the exams required to earn that cert cover Microsoft Azure, which is gaining on AWS. Microsoft has positioned Azure as the enterprise cloud platform. With many organizations still using Windows legacy systems, using Azure is a logical move for them. This has spiked the demand for IT pros who can leverage Azure, especially with existing systems. If you are part of a Microsoft-centric organization, you definitely should be adding Azure to your skill set. The MTA Cloud Fundamentals cert is an affordable way to dabble in Microsoft cloud basics. It also sets you up to pursue MCSA: Cloud Platform certification. The Microsoft MCSA certification paths can be a bit of a maze to navigate. When it comes to MCSA Cloud Platform cert, remember the following tidbit: Pass any two of the 70-532, 70-533, 70-535, or 70-537 exams and you’ll be certified. Despite its absence in the title, Azure is the focus of these exams. The most universally adaptable skills are covered in the 70-533 and 70-535 exams. Exam 70-533 covers how to implement Azure. Architecting different types of clouds in Azure is the focus of the 70-535 exam. Full disclosure: We had to do some stretching to get under $300. The total cost of MCSA: Cloud Platform certification is typically $660. Each exam costs $330. However, if you take the second exam within nine months of the first, it’s only $247.50. Averaged, that brings each exam to $288.75. And let’s not quibble. Azure is making a surge in the cloud market. You’ll make up the cost literally in a day (or even a few hours) while helping organizations get the most out of Azure. 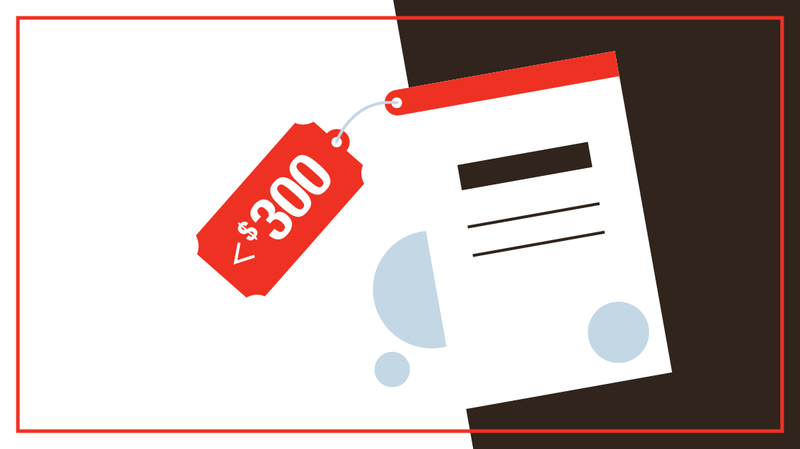 Technically, CompTIA’s Cloud+ exams cost $302, but you can barely search “Cloud+” without tripping over a discounted voucher. In fact, if you’re a CBT Nuggets subscriber, you can contact Learner Support to get your 10% discount code. The CVO-001 exam covers the fundamentals of cloud models, virtualization, and security. The recently-released CVO-002 exam emphasizes using the cloud for enterprise. Both certifications are vendor-neutral, meaning the content can be universally applied. CompTIA Cloud+ certification serves as a solid springboard to any cloud vendor, be it AWS or VMware. Specialty is not a bad thing, having a broad cloud skill set makes it easier to jump into different situations. Certified Security Specialty certification demonstrates you have a skill any AWS-using organization values. You’ll be able to properly secure the AWS platform. We all know data security is paramount for organizations. In wake of recent high-profile security breaches, there’s more pressure around security. Adding a security focus to your cloud skill set is a no-brainer. That’s why this cert is a great starting point for taking your cloud knowledge up a level. Getting cloud-certified isn’t too expensive, but when you’re ready to expand your cloud skills beyond the basics, you’ll have to be ready to fork over some bucks. Many advanced Cisco and VMware cloud certifications have higher exam fees, but you’re nearly assured a higher salary. Organizations are paying top dollar for IT pros with cloud skills. It’s simple supply and demand. There’s not enough talent. Salaries for cloud-based roles now are in the top tier of the IT pay scale. Many are in the six-figure range. With that kind of money on the line, even the most expensive of cloud certs seems like a small price to pay. Fortunately, you don’t have to spend a lot to get up to speed with the cloud. Take advantage of low exam fees — because cloud certification is a smart investment. This Week: Is Azure a Sleeping Giant?